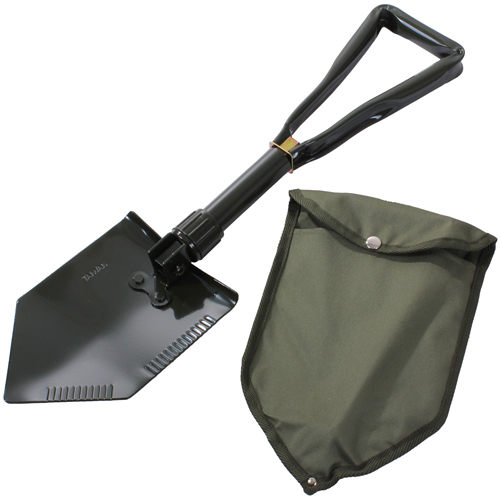 The Tri Fold Shovel With Cover (Product Code: UF829) is just what one needs for various outdoor as well as backyard gardening activities. The tough shovel is made in compliance with the GI Government issued style which ensures highest levels of toughness and practicality. This tough shovel can be used to dig out tightly packed dirt and mud and can be used for several other purposes as well. The fact that this shovel folds around two axis makes it easy to carry around when required. The shovel also comes with a trendy and tough canvas cover which makes for easy storage and transport.